Mushrooms are an extremely healthy, disease fighting food which many people are unaware of. Mushrooms are typically used in dishes as a side, something that tastes bland on its own but can easily absorb a marinade or dressing to give the dish some extra flavor. Mushrooms shouldn’t just be viewed as an accessory however, as it provides a wide array of health benefits. 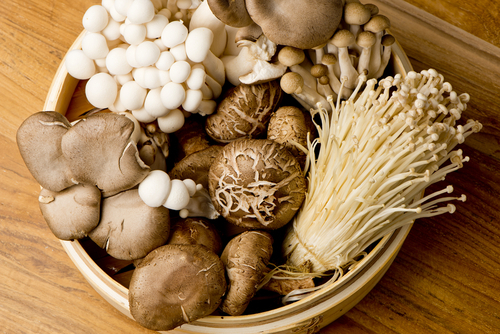 Mushrooms are low in calories while being high in B vitamins, trace minerals, fiber and even have some protein. Mushrooms are most beneficial because of their anti-inflammatory properties, containing various antioxidants which help fight free radicals as well. 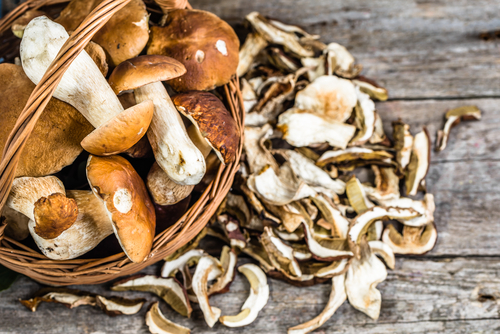 Mushrooms may not be as well known in the west, but the medicinal benefits of mushrooms date back thousands of years traced back to their use in Ancient Chinese Medicine. We know this to be true today, as many studies conducted on mushrooms revealed that they can significantly benefit our health. What Are the Health Benefits to Eating Mushrooms? The term mushroom is a broad one, and can references thousands of different types of species which have different properties used to treat various ailments. 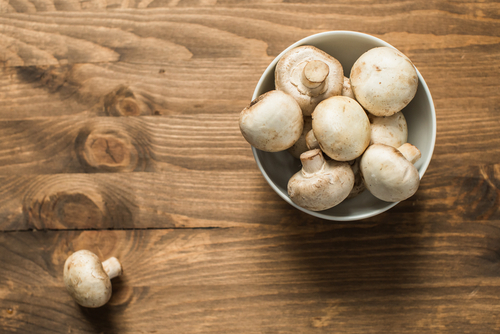 Here are the benefits most common to the mushrooms regularly consumed in our diets. Recent studies have determined that inflammation is a leading cause behind many diseases and illness, ranging from minor things like indigestion all the way to life threatening diseases like cancer. Mushrooms contain multiple compounds which can help with things like fighting of viral infections, tumors, allergens, bacterial microbes, and provides other benefits as well. Basically the mushroom has the potential to enhance almost every system in the body via its diverse assortment of chemical compounds found within. One of the most famous antibacterial medications known to man, known as penicillin was derived from a fungus. It should be no surprise then that many varieties of mushrooms have antibacterial properties themselves. Mushrooms are loaded with B vitamins, which are not only important in being antioxidants in their fight against free radicals, but also are involved in neurotransmitter functioning. What this means is that they help to reduce brain fog, or brain fatigue. These vitamins will not only enable you to think more clearly, but can also help to reduce stress levels as well. Chronic stress can do extreme damage to your overall health, as stress can affect every system in the body. Certain types of mushrooms especially shittake are shown to lower levels of cortisol, otherwise known as the body’s stress hormone. One of the major things cortisol causes is fat gain so eat someo of these mushrooms to reduce your cortisol levels. Shiitake mushrooms are very common in many Asian cuisines, so next time you go out for Sushi make sure to have some shiitake soup too. Calcium is the first thing that comes to mind when we think about bone health, but other substances like Vitamin D are just as important in maintaining bone health. Vitamin D is important because it helps the body better absorb and utilize calcium to maintain the bones. Vitamin D is rare in foods, and most people get the majority of their vitamin D from the sun. Vitamin D is typically a vitamin many people are deficient in which has other negative health effects as well. Vitamin D deficiency is linked to other health problems like depression, cancer, heart disease, and mood disorders so it is essential to our well being. Are There Risks to Eating Mushrooms? Mushrooms that are purchased from your local grocery store are generally safe however if you are out in the wild on a camping trip or just foraging, knowing the difference between an edible mushroom and inedible one can mean life or death. Another concern is mushroom extracts which can honestly have anything in them, so if you aren’t familiar with the brand it is best to avoid it. It could potentially contain toxic ingredients that will do you more harm than good. Some healthy varieties have similar look a likes which can be deadly, so stick to the supermarket if you don’t know what you’re doing. Make sure you thoroughly clean your mushrooms as well, as they are grown in the dirt and may contain bacteria and other soil microbes that you don’t want to be ingesting.